Abundance: Scattered records across the state, from the mountains and Piedmont where it can be locally common; likely abundant throughout the state. F. loca is the most common and widespread member of this genus in North America. However, there are two other members of this genus that have been recorded from North Carolina: F. acclina, from somewhere in the mountains near the TN border, and F. ohioensis. Forcipata can be a challenging genus to identify, as the species all more or less resemble one another externally, differing in male and female genitalia (more so in male). Collection records on this page are for F. loca, while photographic and sight-based records can only be attributed to 'nr. loca.' They are almost certainly loca, but one cannot be certain without a specimen analyzed. Below are the descriptions from DeLong & Caldwell, 1936 for the other two species, which can be compared with the desciption for F. loca above. Hamilton, 1998 has a more detailed key to differences in the subgenital plates. acclina- Adults 3.2 mm long. 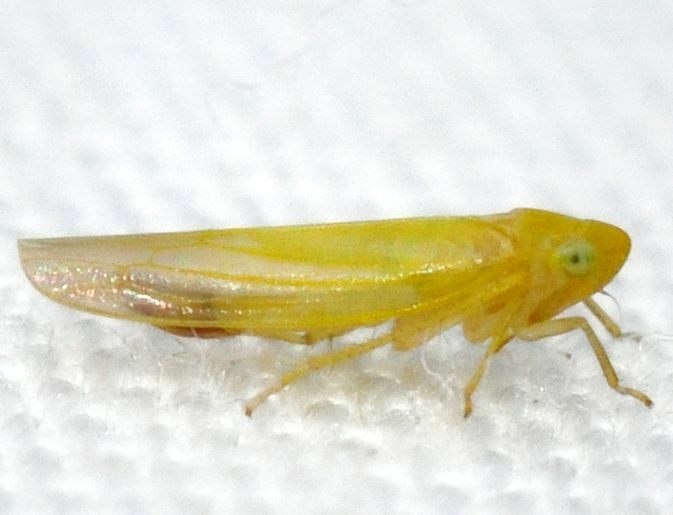 Yellowish, the apex of the vertex is tinted with orange; the pronotum and scutellum are yellowish. The wing venation is yellow. The vertex is strongly produced. The female pregenital sternite is short and broad, with a broadly rounded central lobe; the lateral lobes are barely produced post the notches. The male subgenital plates are abruptly bent midway and curve inward. 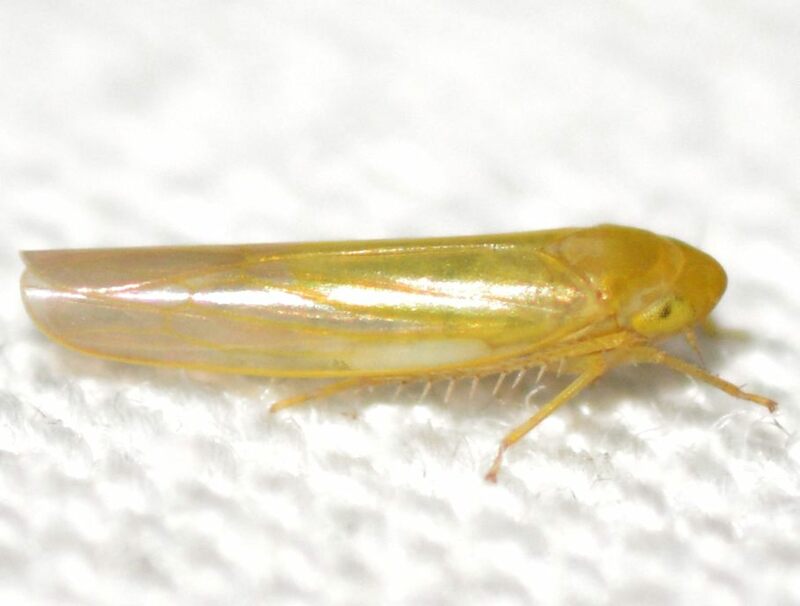 ohioensis- Adults are around 3 mm long. 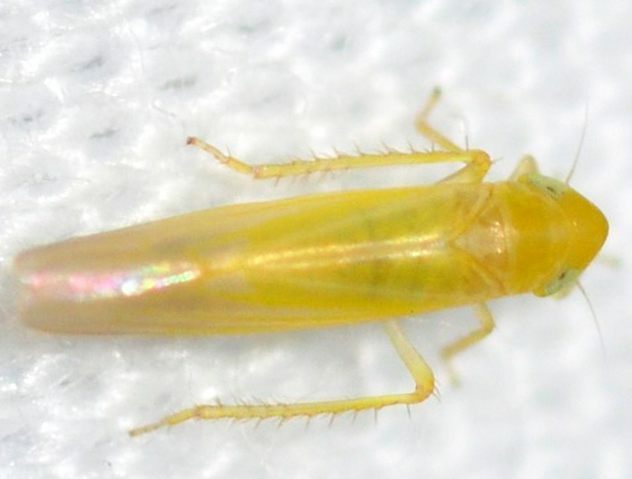 A narrow species, the vertex, pronotum, and scutellum are yellowish. The wings are a dull greenish color, with yellow veins. The female pregenital sternite has a central produced lobe that is narrow, rounded at the apex. Lateral lobes are two-thirds the length of the central lobe. The male subgenital plates are broad at the base, strongly curving inwards at the apices which are blunt.